I just might have taken a few extra liberties over the holidays (family time and food comas can do that to me), and remained 'unplugged' a little longer than I had anticipated. Whoops! So without further ado, HAPPY 2012!!! With the new year comes a slew of resolutions. 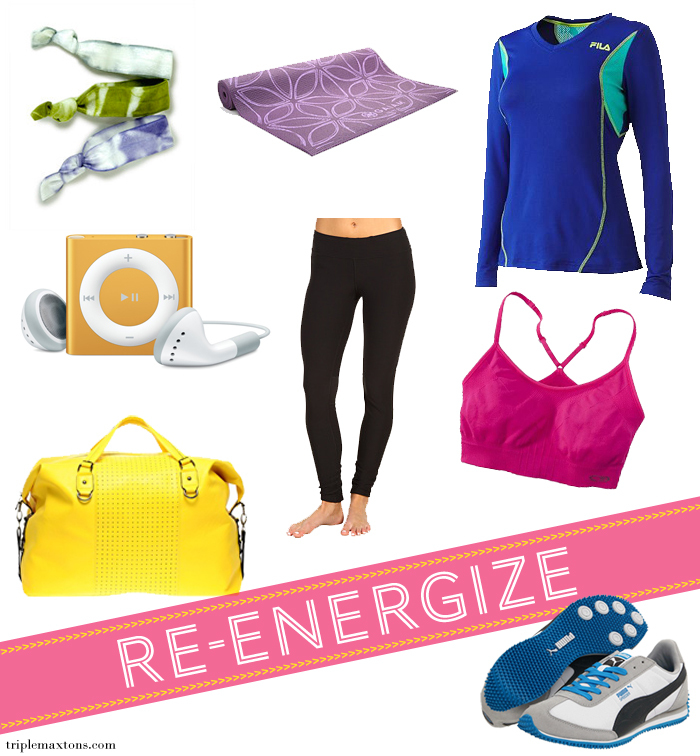 The first one up on my list is likely the most obvious - and reoccurring - resolution: to exercise. However, my goal isn't as superficial as it was in past years. I am not chasing after this unrealistic goal of looking like Miranda Kerr. That's just not my body type, and I'm cool with my curves. The reason why I want to start regularly exercising is to get fit. I want to be able to play a game of chase with my nieces and nephews without chilling on base for like a zillion hours. I want to be able to do pull-ups instead of hanging from the equipment, flailing around like a caught fish and trying with all my might....but not moving an inch. I want to be able to run a mile without feeling like I am a fire-breathing dragon whose lungs are on the bring of explosion. But of course, I wouldn't mind the ripped abs and buns of steel that come along with all that hard work!!! I share this resolution! I want to be fit and healthy, not just thin. i agree! just starting personal training sessions. love the yellow bag! I can't wait to get back in business at the gym. This holiday season was over celebrated and I feel like I might explode momentarily. Thank you for a really cool Valentines Day Blog. I found the gift ideas given here very interesting.